My role in the Maker Lab is to test the usability of its various projects. So far, I have spent my time learning how to best evaluate web pages and understand the principles of interaction and web design. Admittedly, I am not a DH expert. In fact, almost everything I have encountered in the Maker Lab—from terminology (what does usability mean?) to digital projects to simply figuring out how to switch on the computers—seems foreign and intimidating. With the time I spend in the Lab, I hope to hone some technical competency and learn something about DH. The Lab hopes that, being something of an outsider, I will be able to provide useful feedback on projects and initiatives from the perspective of someone who is pretty new to the field. Ideally, this feedback will help make the work happening in the Maker Lab more accessible. Already, I have had to confront my own skepticism and limitations. Initially, I was suspicious of the principles and priorities of digital design practice. For example, the research I have done suggests that designers should prioritize efficiency and productivity. I question whether efficiency should always take precedence. I don’t mean to suggest that one would aspire to create an inefficient interface. But should productivity always be prioritized in digital environments? I have also been struggling to understand digital interaction as an embodied experience, or, at least, as embodied as other, non-digital experiences. Likewise, I surprised myself by reacting to the concept of digital objects. While I am now getting used to the idea of icons, boxes, etc. as objects, I still cannot resist the tendency to consider the digital as always ephemeral in some way, and the object as material. So far my Lab work has led me to question many of my own assumptions about both digital and non-digital environments. I am considering, for the first time, how digital environments are constructed, and how they construct their users. I am looking forward to applying some of these questions, and my own non-knowledge, to Maker Lab projects and processes. Post by Mikka Jacobsen, attached to the Makerspace project, with the fabrication tag. 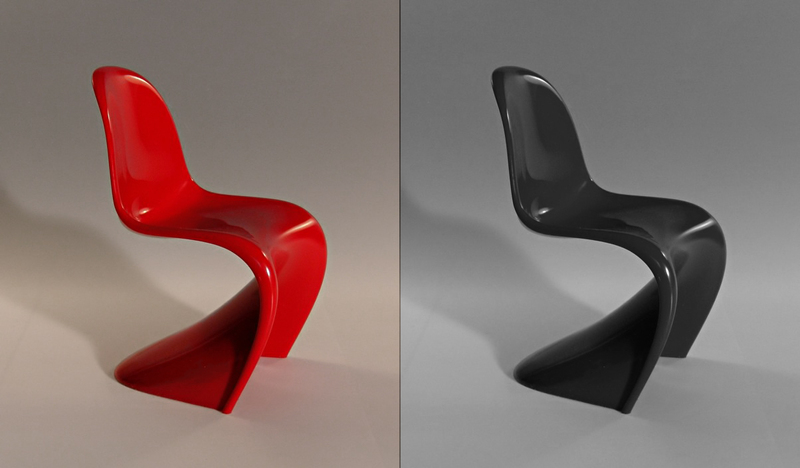 Featured image for this post, of Verner Panton’s S Stuhl, care of Wikipedia.